I am hoping you can shed some light on something for me. I am a HUGE Renée Carlino fan-like Tarryn Fisher and Colleen Hoover-I will click anything this author writes. Back in 2014 I shelved two books that stated were upcoming releases for her. One was called FIRST LOVE NEVER DIES and the other DREAM CUTS. It’s been 5 years and nothing. This is a great question because it’s also something that baffles me!! First, thank you, Jenn! I am so thrilled to read messages like this from devoted readers. Once we leak that I’m writing a book, even if I say the title is tentative, if a GOODREADS librarian puts it under my information, I cannot take it off. This is a scary and true fact. I have contacted GOODREADS multiple times and asked that they remove it, but no response. The Last Post is a real book and…it’s finished! The release date is set for August 20th and we do have a cover. It’s brand new and was revealed today! Thank you so much, Maryse and Jenn! I’m so happy to share this with you. 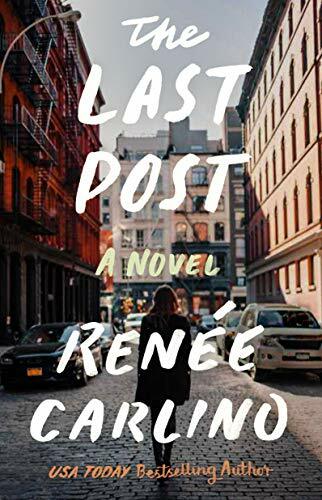 Now… since you brought it up, and we’re on the subject, let’s check out her upcoming release, “The Last Post: A Novel. AND take a look at the cover that just so happened to be revealed TODAY!! This question was meant to be!! Yay! I love her books too Jenn! I can’t wait for this one. I was just reading the summary earlier today! It looks like it fits right in our niche.